This printable, downloadable handout was created for high school students, elementary school students, kindergartners and nursery school students and adults at Elementary (A1), Pre-intermediate (A2), Intermediate (B1) and Upper-intermediate (B2) level. 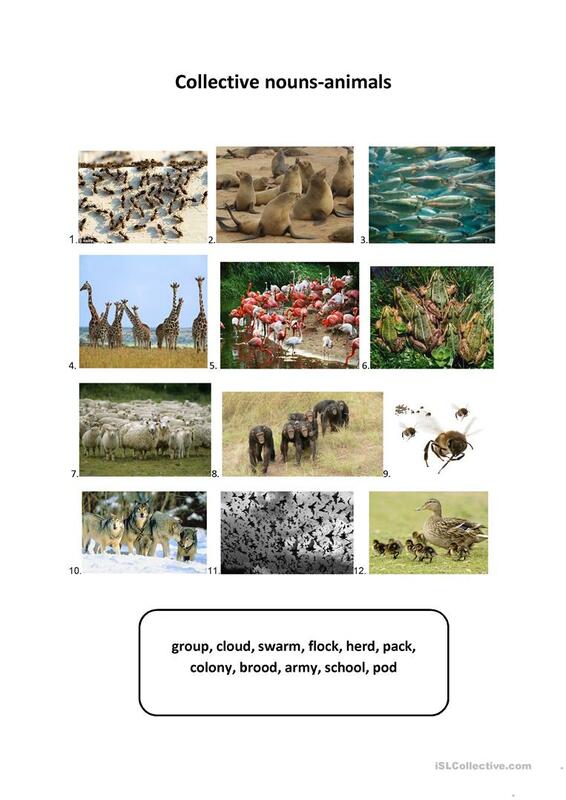 It is valuable for consolidating Nouns and Nouns: Collective nouns (team, class, family, committee) in English. It is about the vocabulary topic of Animals. Magdalik is from/lives in Poland and has been a member of iSLCollective since 2011-10-04 15:08:30. Magdalik last logged in on 2019-04-24 13:31:48, and has shared 94 resources on iSLCollective so far.